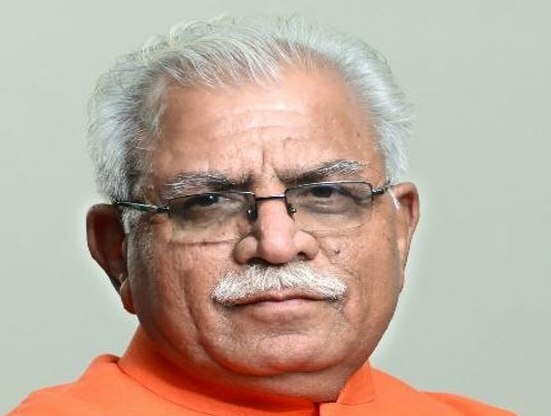 Chandigarh : Keorak village in Kaithal District the Chief Minister, Mr Manohar lal, has adopted under the Vidhayak Adarsh Gram Yojana, would soon have a regional centre of Lala Lajpat Rai University of Veterinary and Animal Sciences. Addressing the villagers in Keorak today, he said that villages having a population of 10,000 and above would be provided with facilities on par with that of cities and village Keorak would fall in this category. He urged the farmers not to burn stubble as it caused pollution and, instead, use it as fodder as well as for generation of electricity. Keorak would be made Adarsh Gram in real sense of the term for which the people of the village would have to change their mindset. the Chief Minister approved Rs 3.50 crore for water treatment projects for four ponds in the village and also announced to widen the eight-km-long roads from village Keorak to Teek and Gyong to five metres from 3.5 metres. The Chief Minister said that Gram Sachivalayas would be opened in every village of the state and Vyayamshalas would also be opened on two acres of land. He asked the villagers to select such poor families as could be benefitted maximum with government schemes to improve their economic standard. He urged the people to avoid going to court and settle their disputes at the panchayat level. Every three months, a meeting of Gram Sabha should be called for discussing development schemes and their implementation. He expressed happiness over the initiative of the villagers in getting electricity meters installed and putting an end to the wrong practice of having ‘kundi’ connections. He urged them to keep away from theft of electricity and pay their bills on time. The Chief Minister greeted people on the occasion of Parshuram Jayanti and Akshay Tritiya. Sarpanch of village Keorak, Mr Balkar Singh Arya, expressed his gratitude to the Chief Minister for adopting their village and said that the gram panchayat would give every possible support to make the village Adarsh Gram.